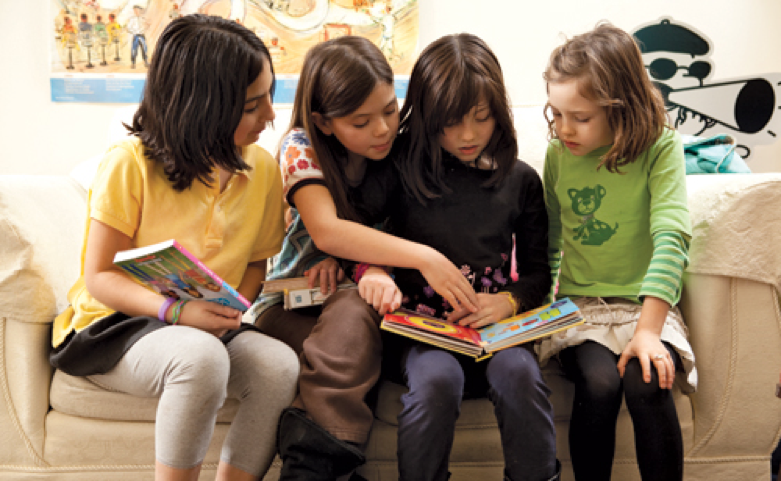 Book clubs are usually regarded as reserved only for parents. A typical scene is adults gathered in the living room, sipping on a beverage, and talking about that exciting scene in their last read. However, book clubs can be much more than that, especially for children. These clubs give their members the opportunity to encourage each other in reading (and all the benefits that come along with it); collectively immerse themselves into their book’s reality, leaving their own behind if only for a moment; and make new friends along with strengthen existing friendships. Children already have such vivid imaginations and what better way to develop creativity than through books. The idea of a club may not initially seem exciting to them, but gear your ‘pitch’ toward one of their favorite things. For example, if they love robots, suggest some futuristic novels about artificial intelligence. Filling the club with your children’s friends is a surefire way of making it more enjoyable. There are several issues that need to be taken into consideration in planning, such as book genres to read and discuss, as well as convenient schedules and locations. Be flexible as book clubs are not obligated to center around one theme. At the start of a new club, have your children choose one or two books of their liking and then discuss with the other members of the group and their parents what types of books they would like to read. Hosting the club once every two weeks or more makes scheduling easier and gives the children the opportunity to make reasonable headway on their reading assignment. Remember - it is unlikely that this is the club members’ only extramural activity, so discuss their existing schedules with their parents to come up with the best schedule and time for the meetings. When there actually are meetings, have a plan as to what should be accomplished in each session. They can discuss their favorite characters, make chapter/book predictions, relate the novel to an aspect of their lives, or act out their favorite scene. The possibilities are endless! Be prepared and organized so that the sessions run smoothly and children are encouraged to return. It is critical that you find a good location for the meetings. Club meetings should be hosted in a convenient location and have enough space to seat everyone comfortably, including parents who may want to sit at a distance and listen. Perhaps rotating among members’ homes would be acceptable. A further encouragement for your children’s participation would be having another “fun” activity planned afterwards that they can all look forward to. For example, they can participate in the book club meeting and then go to the movies together. Reading is fundamental and book clubs can make it fun, too! You can find many of suggestions on PBS.org and SheKnows.com. How Much Time Do You Spend Each Day Listening to Your Children? During these busy holiday times, it is especially difficult for us to take our time as parents, slow down, and listen to our children when they speak. Active listening skills can be developed - it just takes your desire to want to do it. I love this quote from Catherine M. Wallace on today’s blog because I believe it is so true. Listen to your children today and show them you love them so that when they grow up, you will always be considered as a parent to talk to. The Centers for Disease Control and Prevention (CDC) have some very important information on their website about parenting and developing the skills of active listening with your children. Stop what you are doing and focus your attention exclusively on your child. Engage in eye contact when speaking. Get down to your child’s level physically. If your child is sitting down, sit down too. Reflect or repeat back what you understand your child to be saying to make sure that you completely understand it. Don’t worry about getting things wrong. It is more important that you are listening and trying to understand. On this website, the CDC gives examples of active listening skills so you can read for yourself and get suggestions. Please visit it to learn more: CLICK HERE. There are so many book festivals throughout the year. 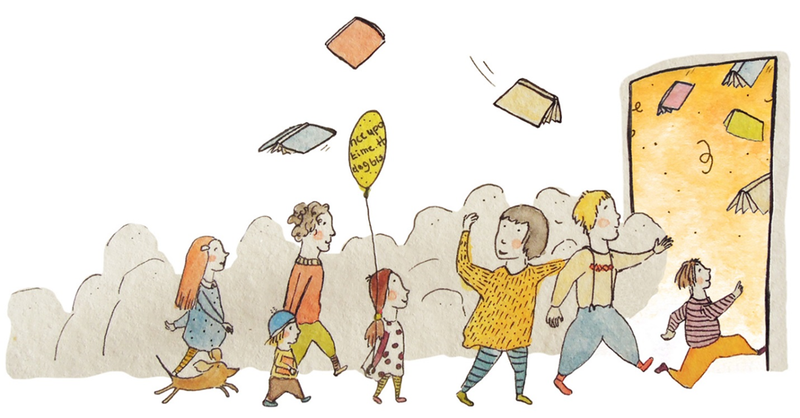 These festivals celebrate authors and books – for all ages – often at no entry cost whatsoever. Many festivals are just for children’s books or have sections dedicated for children, with children’s authors and their books featured and available for sale. A variety of fun children’s activities also are held, such as face painting, children’s crafts, musical performances and exhibitions geared for children. Not only will your children learn about new books, but they will also have the opportunity to actually meet and speak with children’s authors. Have the authors autograph their books for your children. This will make the books more personal and special. Some festivals have “Read to Me Corners” where authors read their books and speak about their love for reading and writing. Search the internet for book festivals near you. What a wonderful way to spend a day with your children! They are sure never to forget their experiences. Please join me on September 3 and 4, 2016 in Decatur, Georgia at the Decatur Book Festival. I’ll be at booth #629 in the children’s area. I’ll also be at the Miami Book Festival on November 19, 2016. I would love to meet you and your children and autograph books. When was the last time that you read a bedtime story with your older children? When they were young, you took the time to read and cuddle before going to bed. But, now that they are older and can read by themselves, you should not stop reading with them bedtime stories. 1. Your children are spending precious time with you and you with your children. You are doing something together, which builds memories. 2. You get to know their opinions. When reading, ask questions. Since they are older, they can give their opinions on subjects. Have them think outside the box, rather than just giving rote answers. This will give you important insight into what and how they are thinking. And, remember – no question is a dumb question. 3. Children are learning good writing skills and sentence structure when they listen to well written books. Then, when they are in school, they will be able to remember these skills and replicate them. This is much different than with their younger siblings who are not at that stage of development yet. Be sure to select a time that is convenient for you and your children. Don’t rush through a book just to say that you read with them. Plan and take the time that both you and they need to make this an enjoyable occasion. For more information, read the online article by CLICKING HERE. Book swap parties have become popular events for children and promote reading at the same time. They are simple to organize and fun to participate in. And, they are a wonderful way to add new books to your children’s collection without having to pay the cost. If you’ve never been to a book swap party, here’s how they usually go. Pick a date that will work for you, your children, and others. Have your children select the books that they have already read and would like to swap with other children. Be sure to explain to them that once the book is swapped, it no longer belongs to them but to the other child. That way they understand that the book will have a new home. Encourage your children to write a couple of sentences on an index card or post-it note as to why they liked those books. This will encourage other children to read the books too. The children who are invited should also bring their books to swap. Plan refreshments and snacks, just as with a regular party. During the party, the children look at all the books and swap for the ones they want. For those books that are left over, donate them to your children’s school’s library or the public library. Are Books Among The Most Important Objects In Your Home? When I walk into a person’s home, I can immediately know what is important to that person. Is there music playing and music paraphernalia all around? Are there toys and play areas for children in different spaces? Is there a large tv screen with surround sound and other modern equipment to make tv viewing an experience? I’m not being judgmental – simply stating facts. Pets are a very important part of a family and can also be a creative way to encourage your children to read. Some children read to dolls or other inanimate objects as part of their play time. What about having them read to their pets? In fact, some organizations have programs where children come in and read to shelter pets. These programs encourage children to practice reading out loud and provide much needed attention for pets who are in the shelter. What a wonderful way to promote literacy! Some people may believe that the title of this blog is an exaggeration. Can a child’s vocabulary at age 2 truly predict the child’s success in kindergarten and later in life? So says author Aaron Loewenberg, a former kindergarten teacher who is now focusing his efforts on education policy and leadership after obtaining a master’s degree, in his recent online article New Research: Two-Year-Old Vocabulary Predicts Kindergarten Success. Importantly, don’t just take his word for it. Links are provided to all the studies that he cites, giving the reader an opportunity to look at the research articles and findings. Of great concern are the findings that children from lower income families suffer the most from the lack of vocabulary skills. Early intervention is the key – with “early” referring to the years before kindergarten. Loewenberg concludes as follows: “If this new study linking the vocabulary of two-year-olds to kindergarten success proves anything, it’s that it’s never too early to start building the vocabulary skills of our youngest learners.” I wholeheartedly agree!